Mobile network carriers and smartphone manufacturers are challenged with large volumes of data and video traffic. This increase in video streaming, social media content, gaming and other data intensive applications is expected to continue as mobile communications expand across geographies. Carrier aggregation (CA) is a technique used to address this challenge in the mobile ecosystems. It combines multiple LTE carrier signals to increase data rates and improve network performance. CA allows increased data rates and improved network performance in uplink, downlink or both. 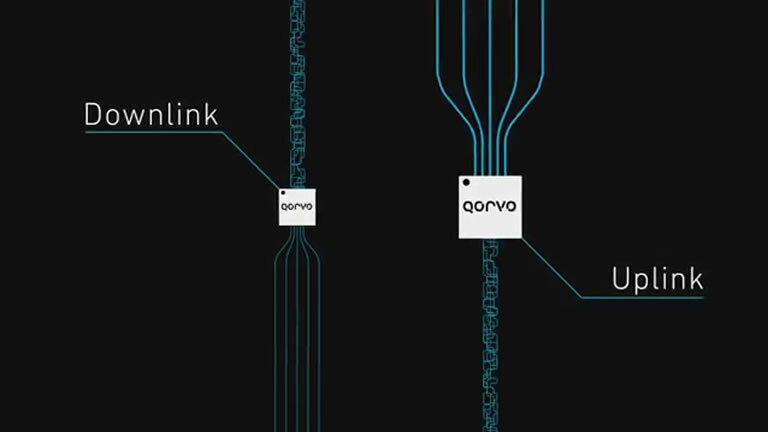 Qorvo’s continuous innovation of its core RF solutions to deliver industry leading power amplifiers, acoustic filters, switches and antenna tuning solutions enable carrier aggregation in next generation smartphones.